Food plants for the larvae of this butterfly are species of the Rutaceae particularly in the genus Citrus. Mature larvae 37-39 mm long, blue-black with minute white and orange spots, black spines; head black. 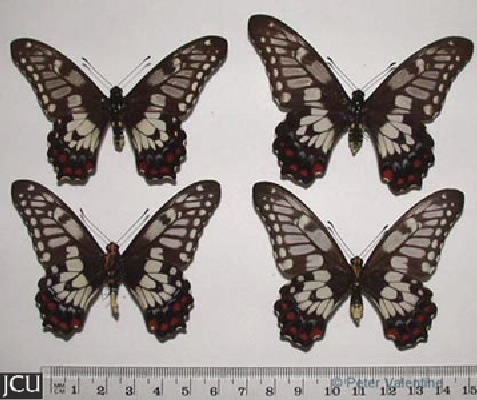 Adults black with chiefly grey markings and red and also white spots near lower edge of hind wing, margin of hind wing scalloped.